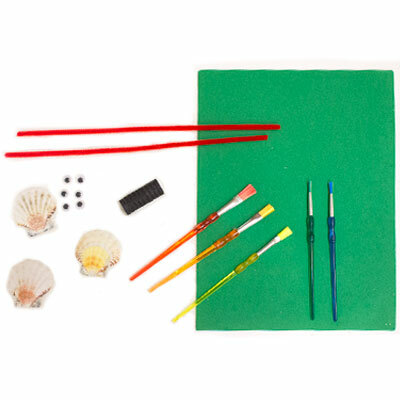 Did you collect seashells at the beach this summer? 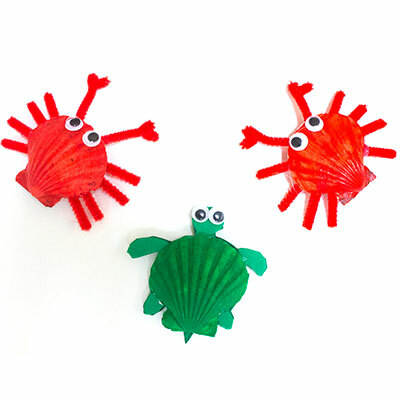 Use them to craft and create little buddies! 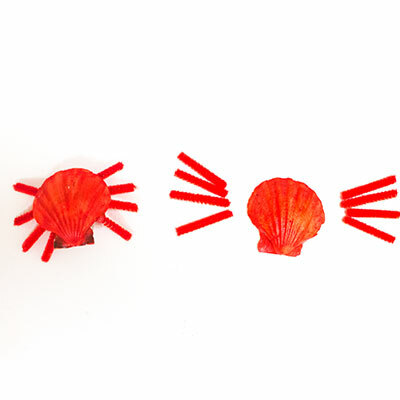 Cut fuzzy sticks to create the legs of your crabs, and glue them to the underside of the seashell. 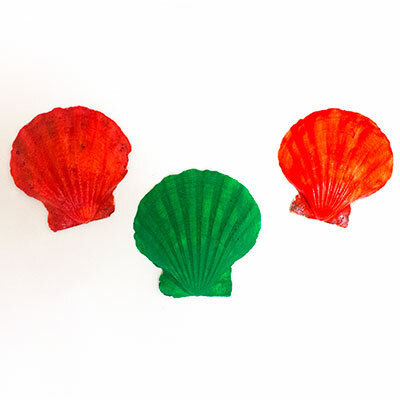 Glue a magnet on the bottom of the seashells. *Tip! * Glue a bit of craft foam to the bottom to adhere the magnets to. 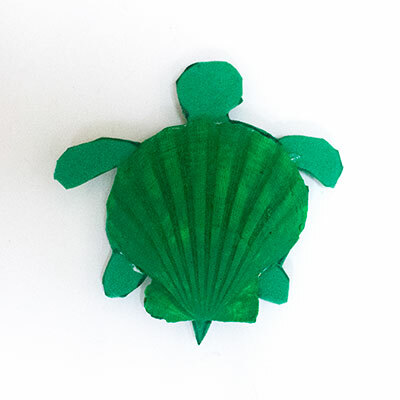 Cut a turtle shape out of craft foam and glue to the underside of the seashell. 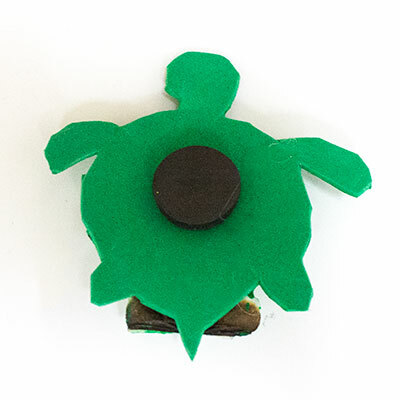 Glue a magnet to the bottom of the turtle. 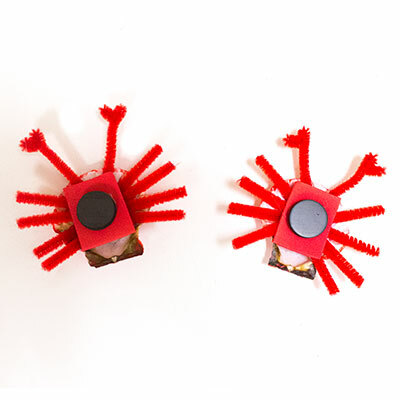 Glue on wiggly eyes to bring your creations to life! 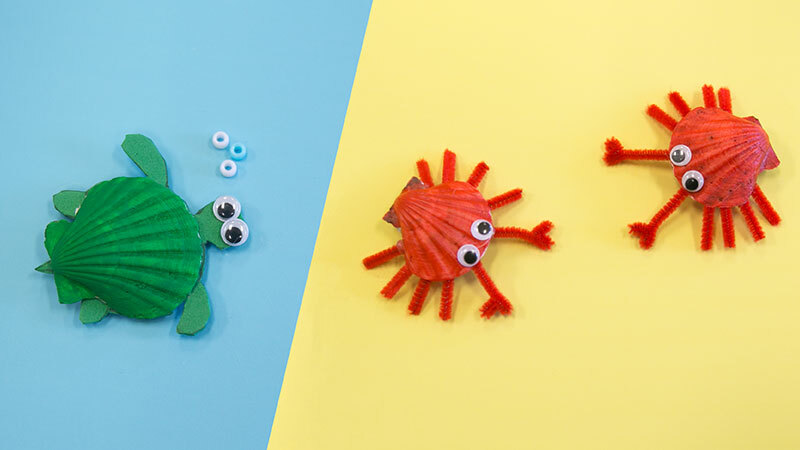 Your turtle and crabs are now complete!